Blame it on Stravinsky. Explaining why he opted against using the organ in his Symphony of Psalms, the composer complained that “the monster never breathes.” His notorious putdown may have only mirrored a larger bias fashionable in the heyday of modernism. Still, as a revered musical icon, Stravinsky condemned the organ in a way that reverberated through much of the latter half of the 20th century. A similar attitude can still be encountered among those who write off the instrument as the concern of a specialist, even fringe constituency. 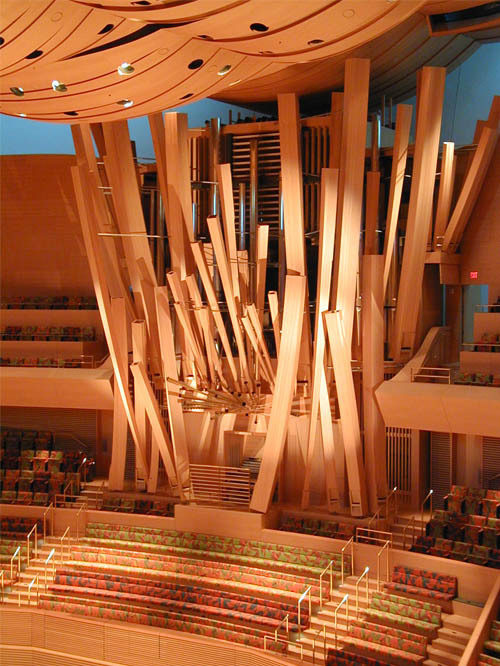 Yet several recent trends indicate that the organ is earning a rediscovered sense of respect—and creating remarkable musical pleasure—in concert halls across North America. In February, for example, California’s Pacific Symphony and music director Carl St.Clair gave the world premiere in Orange County’s Segerstrom Hall of Michael Daugherty’s organ concerto, The Gospel According to Sister Aimee, which dramatizes the life and career of “the first important religious celebrity of the new mass media era,” as the composer describes it. The piece represents one among an extraordinary range of fresh commissions intended to take advantage of the renaissance of pipe organs that have sprouted up in newly built or renovated concert halls during the past twenty years. “The organ is like an orchestra in itself, so in effect a concerto is like writing for two orchestras,” says Daugherty, homing in on the special appeal of writing for organ and orchestra. “Yes, this is the king of instruments, but it can produce delicate sounds, too. It’s like the field of percussion, where you have a range from the powerful and loud to the very soft and subtle. You can get hundreds of different timbres from a great organ.” He adds that in the past few years, concerts of original music presented by his students at the University of Michigan have increasingly demonstrated an interest in the organ.